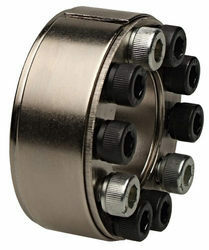 Manufacturer of a wide range of products which include power lock - clamping element. Product DescriptionJINISHA ELECTROLITES OFFER LOCKING DEVICES FROM KBK GERMANY. THIS LOCKING DEVICES ARE FULLY MADE IN GERMANY AND ARE WITH HIGH PRECISION.